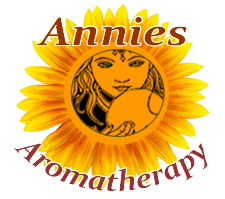 The use of Centaury is an ancient one dating back centuries to the Greeks and Romans. It is a bitter tonic closely related to gentian and is used for much the same purposes. 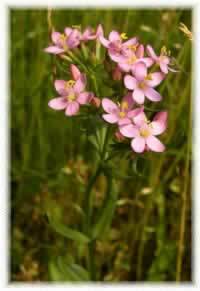 Centaury was once considered a panacea, and freely given for almost any disorder from sick cows to head lice. The herb is still popular today as a bitter digestive tonic for gas, bloating, and heartburn. Research confirms the plant's potential for treating rheumatism and gout1. 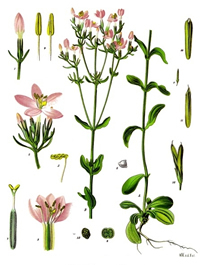 Centaury contains the alkaloid gentianine which has exhibited strongly anti-inflammatory properties.